Day two of the kite-making workshop is over. I was just too exhausted to post anything so it had to wait until today. The workshop day started at 9:00 am. I finished cutting the large applique figure, the third and last, and learned how to do small inserts. I had read about this before but it didn’t really come clear until I saw it and did it for myself. So easy. 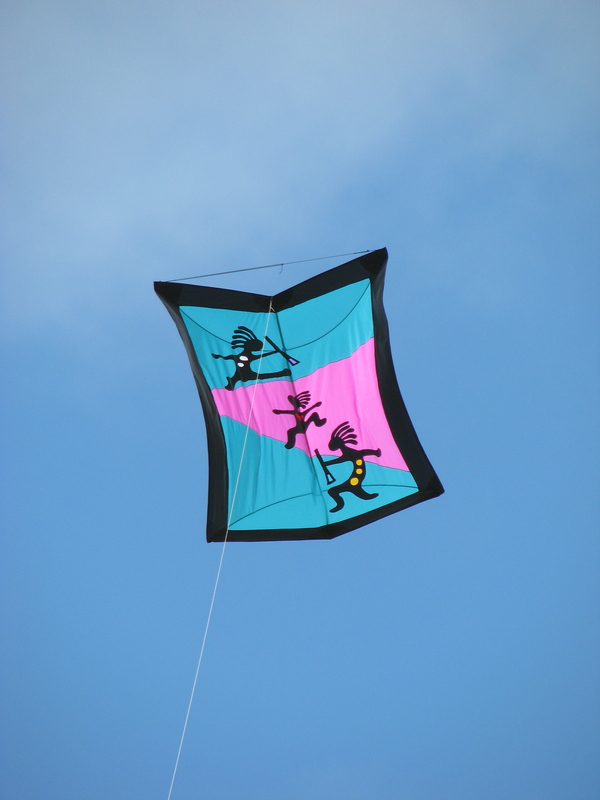 Instead of the shapes on the pattern, I customized the kite with my own icons. That took up some time as I had to decide on shapes that fit the kite style and I felt comfortable with. Circles! Ah ah! It was that simple. And then picking colors was just as exacting. Had to like the balance. Oh, the perfectionist in me took over. The next step was pockets and framing. The pockets were a nightmare. If ever I thought the kite was “over-engineered” it was the pockets. Measure, measure, fold, fold, sew, fold, sew, measure, cut. The on to the next one. Repeat six times. By now everyone is getting tired. And, of course, my machine decides to act up and not feed the pocket material. Granted it was heavy stiff material. But my sewing machine is not a cheaply made machine that isn’t up to it. So I got the experts to work on it. After much trying of different ideas, we got the right combination and it began to sew again. It was now about eight hours later. Two members of the group finished their kite. Several others were worn out and left, to finish their kites at home at a later date. Two of us, were bound and determined to finish and fly our kites this morning. Yes, I was one. Pockets done. Sew pockets on kite. Eleven hours later, ready for framing. No, wait! One of the pockets is on the wrong side. That was it. I could barely see straight. I was done. No finished kite. But that was not the end. I re-sewed the pocket this morning. I framed the kite myself this morning. The workshop leader would have the necessary lines ready for me at the kite field. This baby would fly with the rest. I was too stubborn to totally give up. And it did. Four of the seven participants flew the workshop kite this morning. It was glorious. There were a lot of other fliers there, too. We had one of the best kite flies we have had in months. I would say there were at least fifteen fliers there. 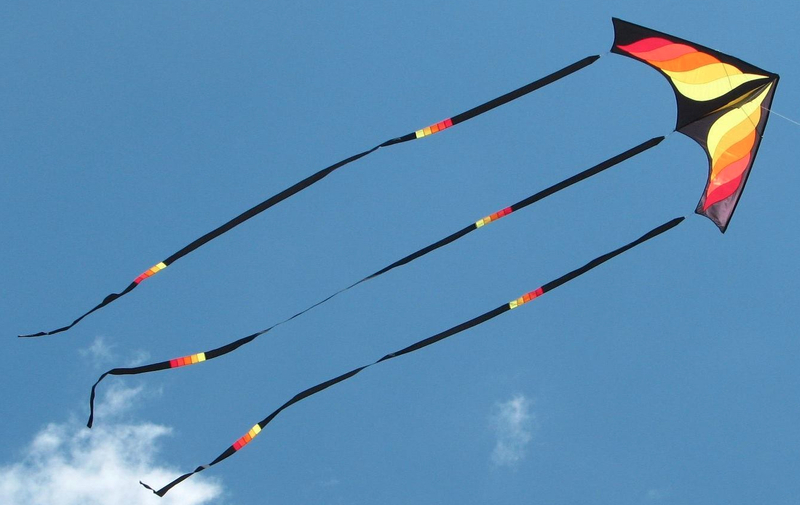 Single line kites, dual line kites, quad line kites, many handmade art kites, and some very unusual kites. The only thing that could have been better was that the sky was cloudy. The winds were a little on the light side but still flyable. 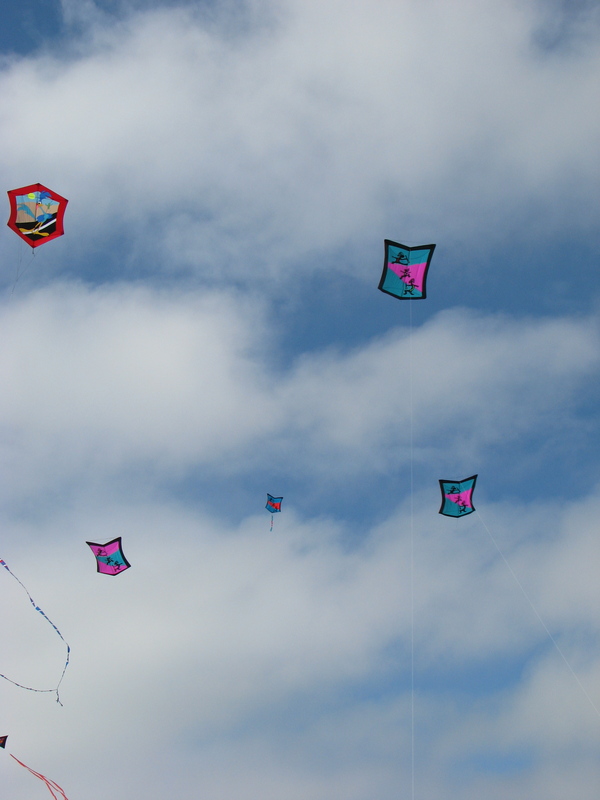 It was a wonderful communion of people and kites. A proper ending to a somewhat stressful workshop. Would I do it again? You bet. I learned a lot. I enjoyed the company. I love my kite. And I am not afraid to cut, paste, sew and modify. I am thinking I would like to use the framing technique from the workshop on another type of kite. Oh, knowledge is a dangerous thing. It leads to ideas. And ideas add to my list of kites to make.